Pictured above: Adrian J. Mizzi, Executive Producer of the Mercedes-Benz Fashion Week Malta, flanked by Pierre Mizzi, Media Director, Philip Galea, Marketing Executive at Bay Street and Ivan Grech, on behalf of Auto Sales Ltd, local concessionaires of Mercedes-Benz. 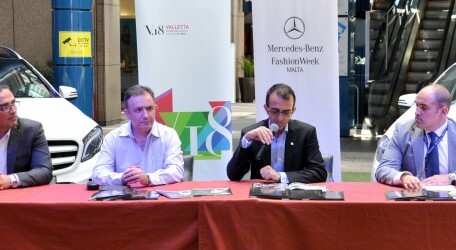 Valletta, Malta’s capital city, a major historical attraction in itself, is to be the common denominator in this years’ Mercedes-Benz Fashion Week Malta, according to Adrian J. Mizzi, Executive Producer, at the launch held at the Bay Street Complex, St Julian’s. The events-packed calendar opens to the public on Saturday, 24 May, with two solo designer shows at 11 a.m. in Republic Street, Ritienne Zammit and Creative Factory 7, and a New Designers Fashion Show at 8.30 p.m. at the Casino Maltese featuring 12 designers. Gozitan designer Caroline Hili is launching her collection in Malta on Sunday at 8.30 p.m. on the Renzo Piano Steps in Republic Street. 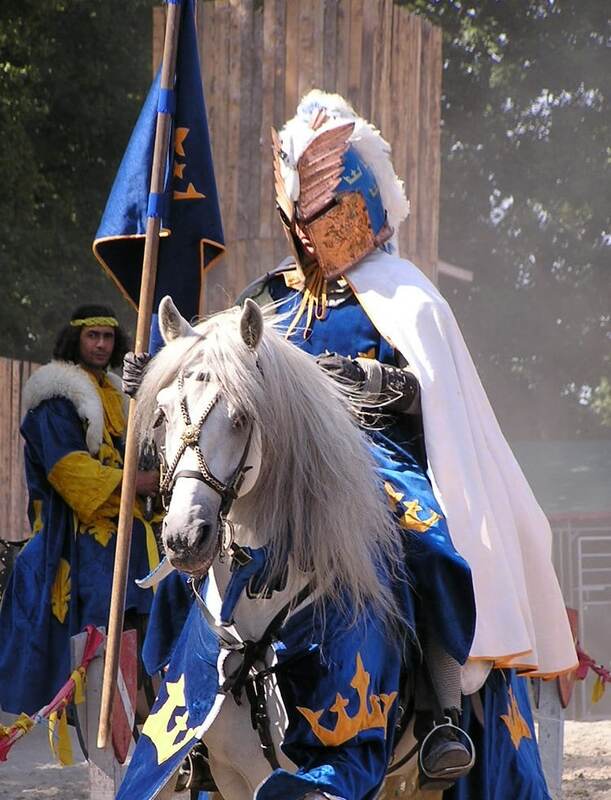 Charles and Ron have their fashion show on Monday at 8.30 p.m. at St Elmo Square. Malta’s Maritime Heritage is combining with the Tiffany Pisani swimwear collection on Tuesday at St George’s Square, with a unique combination of heritage and culture. Bridalwear from Spain (Pronovias), France (Wedding Bells) and Italy (Loredana Roccasalva) will be shown on Wednesday at 8.30 p.m. at the Mediterranean Conference Centre. Local fashion brand Gagliardi is displaying its collection, as part of Bortex’s 50th anniversary on Thursday at 8.30 p.m. at the National Library. Mr Mizzi commented that this is possibly the first fashion show to be held there. International designers from Serbia, the United Kingdom, Nigeria and France are taking part in the International Designers Show on Friday at 8.30 p.m. at Pjazza Regina. The Malta Fashion Awards, now in its 16th edition, are being held for the first time at SmartCity Malta. Mr Mizzi explained that there will be a selection of the week’s fashion shows, apart from presentation of awards in the fashion sector. For the first time there is also going to be a Fashion Blogger Award. Hair stylist Patrick Cameron is a special guest at the event and will also be holding hair seminars between Sunday and Wednesday, to be attended by both local and international hair stylists. Philip Galea, Marketing Executive at Bay Street, said the complex is delighted to be supporting the event since this type of collaboration helps to showcase the diverse retail stores, as well as the dining and entertainment offered seven days a week from 10 a.m. to 10 p.m.
“With over 2.4 million annual visitors, Bay Street is committed to offering our customers a great shopping experience, as well as creating a range of fun events for all the family,” Mr Galea said. May is also designated as Fashion Month at Bay Street, with exclusive 10% off vouchers from fashion shops and free coffee from the cafés and restaurants that can be downloaded online or collected each weekend. Ivan Grech, on behalf of Auto Sales Ltd, local concessionaires of Mercedes-Benz, said this is Auto Sales’ biggest local sponsorship but one that Mercedes-Benz sponsors around the world with fashion weeks in China, Russia, America and Germany, among others. “We always introduce the cultural element in this fashion week and during the Maritime Heritage event on Tuesday, 27 May, 2014, at St George’s Square Auto Sales will be launching the new C Class,” Mr Grech announced. Media Director Pierre Mizzi said the Mercedes-Benz Fashion Week Malta was a big event not just locally in the media but also internationally. “There are 43 bloggers and 51 photographers accredited to the event, not only publishing to their websites but also on www.fashionweek.com.mt,” Mr Mizzi said. Fashion TV will be showing parts of the event in 200 million households on seven continents and the great support of the local media ensured that this will also be well known in Malta and Gozo.